I am pissed at how you continue to protect Menaye Donkor anytime something comes up that she ought to be mentioned. And as such, I have decided to call you and her out on this one. I went through your tall list of Ghanaian celebrities who have allegedly bleached and shockingly, Menaye Donkor was missing. In fact, I went through it twice to check if I had skipped her but she was no where to be found. So I have decided to send you this picture for you to explain to the whole world how she has become so light today, compared to what is obvious in this photo. Maybe, she has been using Yvonne Nelson’s cocoa butter with her or she has been drinking Ama Obroni Boahenmaa’s condensed milk. 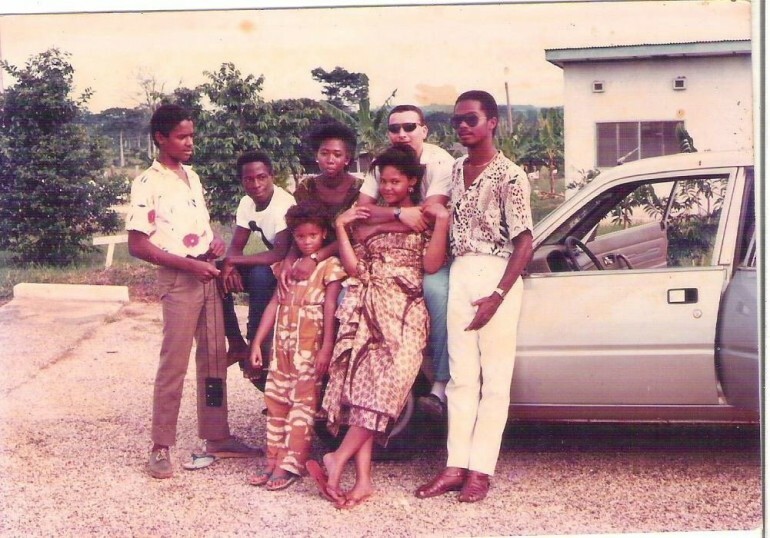 If you are wondering where Menaye Donkor is in the photo, she is the small girl with the dirty feet. I am sure you cannot miss her; she has not changed a lot in facial appearance, except in skin tone. The question is; what happened? Also, all those mixed raced celebrities in Ghana looking fairer than original whites living in cold countries must answer this; how come you are never getting darker even though you have spent all your lives in the tropics? The answer is simple; #bleachingalert. It may take some time to get published because I receive a lot of such mails and need to publish them one after the other. Thank You. Again, dirty feet? R u kidding me? U must be a bitter blast from her past. Dummy, pics back then were darker than they r today. Is it your business if she has bleached? Why the skin pain. Im not a fan of hers but this is soo childish. Give herself a break and let go of the hatred. It will not feed u, make u rich, or beautiful like her. first of all, i don’t see any dirty feet….i think u got some personal beef with her period!…In regards to the bleaching, i don’t think so!…cuz that photo was taken in a tropical environment and thus she look tanned. her adult pics were taken in Europe..and furthermore shez wearing makeup….her complexion has changed cuz she spends less time in the sun…………. You’re a serious disgrace to the Santaciausians. What did you get out of your education at adisadel. Get a life dude.